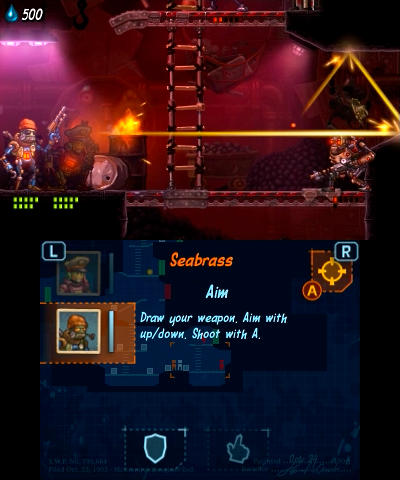 Earlier today Image & Form unveiled the first 3DS screenshots for SteamWorld Heist, showing how the 2D strategy title will shrink down onto the portable. First impressions are pretty positive - we think, anyway - and we can see how the bottom screen will be utilised for control tips, swapping between team members and displaying a map. 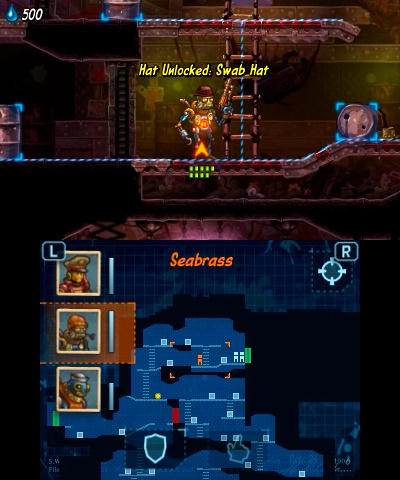 Image & Form has shared another three 3DS screenshots exclusively with Nintendo Life, in these cases showing more gameplay, robot hat fashion and one-liners. Are you interested in this one, due to start arriving in Fall this year? Are you leaning towards portability on 3DS or HD visuals on Wii U? Let us know. Couldn't we just update the last news story? I'm not interested, I just want it ASAP. This looks better than Dig, I hope it's just as fun. 2 years ago I bought Dig and Zelda ALBW, I am more addicted to Dig than Zelda... that's how good it is. Definitely getting the 3DS version, love the 3D Stereo look on this type of games. Oh man, I'm so excited for this game. 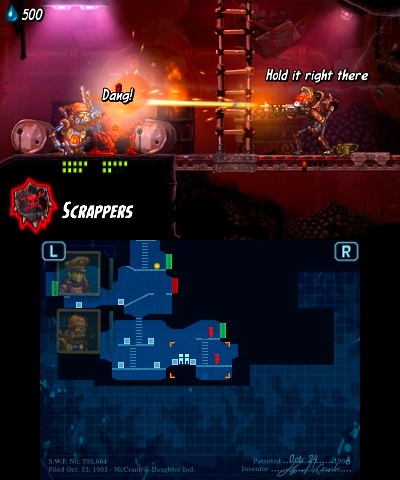 Steamworld Dig was simply fantastic. Interesting. Going on the wish list. 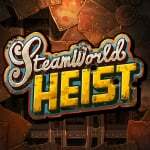 Codename: Steam and Steam World Heist , yes please ! Anyone know if this will be on new 3ds only or the original 3ds as well?